The emperor is the very top of the social ladder and is considered the son of Heaven. The Zhou Dynasty developed a social structure that obtained much influence from Confucian Social Hierarchy. 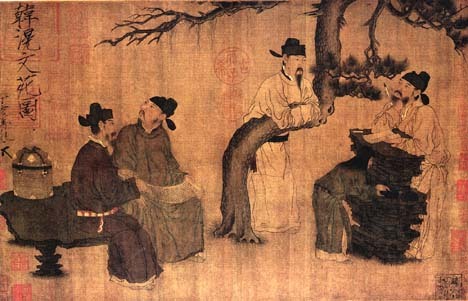 Confucianism was very popular during the Zhou Dynasty and the emperors expected their subjects to follow Confucianist values. Confucian beliefs dictated that above all was the emperor, followed by scholars, farmers then merchants, then slaves and women. Though out Chinese history, women have had very few rights. Women were often considered objects of possession rather than humans. It was no different in the Zhou Empire, women were often lumped in with the likes of slaves and peasants in social status.